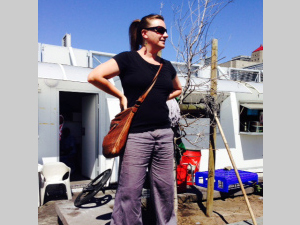 Anine joined Cape Fusion Tours in January 2014 and has indeed grown into a mini-me! She brought with her the same style of touring, a philosophy of sharing her life and the real Cape Town with people and added bonus of being the most organized person I know. For those of you get to meet her, you will be met with a hug and a kiss, and someone who genuinely wants to make sure that you maximize your time in the Cape by matching your interests to every activity that is chosen on your touring days.